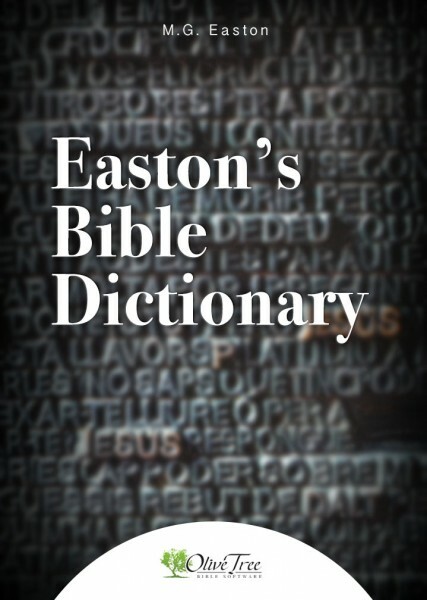 Easton's Bible Dictionary contains almost 4,000 Bible words with a complete explanation of its Biblical meaning. It is the work of M.G. Easton, and was published in 1897. Its definitions have stood the test of time for their solid Biblical basis, clarity and conciseness. This dictionary is an invaluable and inexpensive addition to your Olive Tree library.